CHART RIGGER: Pet Shop Boys 'Very' At 15: How Can I Even Try To Explain? 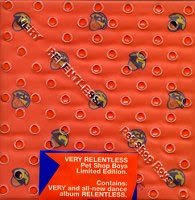 Pet Shop Boys 'Very' At 15: How Can I Even Try To Explain? Today marks the first day of autumn. 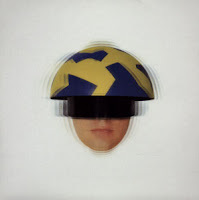 And it was this week in 1993—15 years ago—when the Pet Shop Boys' album Very was released. In so many ways, that fall was a new beginning for me, and Very soundtracked my life then and still resonates with who I am today. This post isn't going to be an album review or retrospective. Music is so subjective, and who's to say that what I like you'll like. 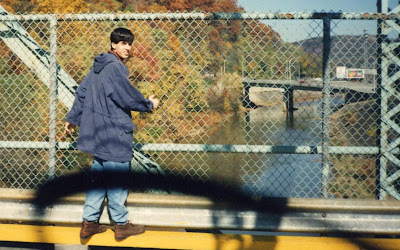 All I can convey is who I was in September 1993, as a 19-year-old college sophomore who wandered into National Record Mart and bought Very on cassette. At that time, I was attending Butler County Community College in Pennsylvania, and applying to universities, anxious to get away to one of them the following school year. 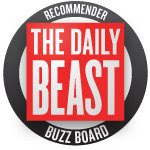 I was at the mall one week night, reading Entertainment Weekly at B. Dalton Books, and caught a review of Very, unaware that Pet Shop Boys had anything new out. I hurried down to NRM and bought it right away. The place I most wanted to transfer to was Point Park College, a liberal arts school in downtown Pittsburgh with a journalism program I hoped to get into. I toured the "campus"—two high-rise buildings with a connecting pedestrian bridge that stretched over the city street below–that October, and eventually got accepted. But in the end, the school proved to be more expensive than what my student loans would cover. While driving around my suburban hometown in my 1987 Dodge Shadow one night with my friend Becky in fall 1993, she started laughing when "Liberation," the third track (and fourth single) on Very came on, because of the lyrics, "The night, the stars / A light shone through the door." I'd written an off-color poem months prior, and had given it to her. It contained the line, "The lights, the disco ball / You're hot! Oh, wait...you're a man!" Somewhere, she heard a corrolation between the two. At that point I was far from openly entertaining any gay notions about myself...except in trashy, shock-value poetry, apparently. Twelve years later, that brand of humor would come into play in a new medium. That October, Becky and I went on a field trip with our Geography professor to see famed architect Frank Lloyd Wright's Fallingwater house. I listened to Very on my headphones during the bus ride. A week later, both of us went to see A Nightmare Before Christmas. Two great clips: Pet Shop Boys (in Beatles wigs) opening in Rio with "Tonight Is Forever/I Wouldn't Normally Do This Kind Of Thing" in December 1994 on the "DiscoVERY" tour, and also seguing into Culture Beat's "Mr. Vain" during "One In A Million," from the same gig. In 1994, at Indiana University Of Pennsylvania—where I finally transferred to and got my Bachelor's degree from in 1997—everyone on my dorm room floor had Very. It was one of those essential CDs, like ABBA Gold, the first Weezer album and R.E.M. Monster, that most students owned. It wasn't long before I met a guy and finally acted on the previously-mentioned impulses that lay buried during my time in my hometown. Suddenly I kind of understood Very from a completely different angle. It's a funny thing that happens when you finish college; you enter the real world and find that what you'd been working so hard to get to is...lonely. And tough. When I moved to Los Angeles in 1999, I listened to Very a lot. It reminded me of good times. Innocent ones that had long gone by. Every fall I dig that CD out. In fact, I probably play it more than any album still. It's my "if you were stranded on a desert island" disc. Very is of its time, but has aged surprisingly well. "I Wouldn't Normally Do This Kind Of Thing" is just spectacular pop, though I much prefer the album version over the single mix that was done. "One And One Make Five" and "The Theatre" are amazing album tracks that could have been singles. "Young Offender" makes my heart break to this day, and is probably my favorite Pet Shop Boys song of all time. I like to think that I was a young offender when Very came out. 1. It's the Pet Shop Boys' fifth studio album. 2. In the U.K., it's the duo's only one to hit #1. 3. It reached #20 in the U.S., and has been certified gold (over 500,000 sold). 4. Neil Tennant commenting on "Go West" in the liner notes of the 2001 remastered CD: "[Chris Lowe] played [the original Village People version] to me and I said, 'This is ghastly.' I thought it was ghastly beyond belief. Awful. Anyway, Chris just carried on regardless." 5. Chris Lowe on he and Neil's image for the album promotion: "Everyone was being grungy. Everyone was just dressing in baggy jeans and T-shirt and sweatshirt, that Nirvana thing, looking ordinary. We wanted to be unique, outside of it." 6. Neil on "A Different Point Of View": "This song would have been great done by Take That... Chris never liked this song. Chris played the tune on orchestra hits, just to annoy me. And even more annoyingly, I really liked it." 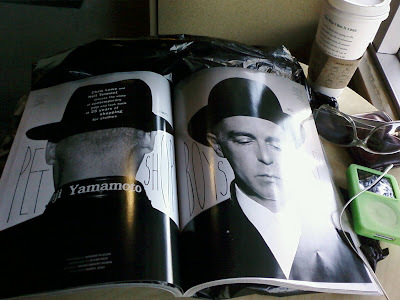 I stopped at the newsstand today to grab a copy of British mag Pop—the "'80s excess issue," with a nice six-page interview with the Pet Shop Boys. I read it at Starbucks, which is when I took the top photo. This piece is a continuation of "These Are The Days You'll Remember." Just lovely. It's inspired me to put The Ladyhawke down and pop in my PSB's popart dvd into the player for all the Very-era clips. "Go West" was actually a hit in Syracuse (was #1 on 93Q for several weeks), so I actually got sick of it for a while. Overall, though, the whole CD really reminds me of my post-college days, and how I was finding my way as a supposed adult. Thanks for sharing your memories of it. I know everyone says it, but these personal retrospectives are always SO great and, in the end, tell a lot more about an album than any other approach could. In a sort of odd coincidence, I listened to my first full PSB album just last week (Fundamental) and LOVED it. Loved. Love this! Although... I got excited because I thought you were going to tell us how you first heard this song when you were more easily led behind the cricket pavilion and the bicycle shed. I love your blog. I had a similar experience with this particular album, as it was the first CD I was given by my best friend whom I lived with for a month when I moved from Kansas to Pennsylvania in 1993. It holds a particular resonance of that happy place and time, especially as my friend's partner would die of AIDS four years later. Every song is special, and "Go West" is especially haunting in sentiment, as it describes the direction I had just moved away from. I see I am not the only one who could play this over and over and never get tired of it. That's the test of something special--thanks for the tribute. Definitely agreed with you that Very is one of PSB best LP to date. Every song in it is a gem although my favorite is still 'Jealousy' from the previous album. "After taking every detour, getting lost and losing track, so that even if I wanted, I could not find my way back, after driving out the memory, of the way things might have been, after I'd forgotten all about us, the song remembers when............."
I'm sure we all have albums that take us on those journeys, and I thank you for sharing yours. ps....I have "Very Relentless", too! These softie posts are always my favorite ones to read! I so enjoy traveling down the "pre-d'luv" road. Well done! Very is my fave PSB release as well. For me, it came out a few years after college around the time that I discovered gay nightlife and what was so exciting about it. One of my fondest memories of that time is when the DJ at Backstreet in Atlanta would play "Go West" ... the lights would go dark for the intro, and a massive movie screen would unfurl on a wall at the end of the dancefloor. They'd play the video, and a packed dancefloor of sweaty, shirtless men would sing along. I'm not sure I've ever been so happy as that moment. What a lovely post; this is one of my favourite albums too, although I only discovered it in 2001, on September 10th. I listened to it a lot on the 11th and it comforted me somewhat. Something about autumn always makes me dig out my Pet Shop Boys cd's, VERY and Behaviour being the continued favorites year after year. VERY affected me very similarly back in 1993, and I treasure it dearly to this day. Thanks for reminding me that i am not the only one who appreciates. Great post. "I Wouldn't Normally Do This Kind of Thing" became my theme song the week I fell in love with the man who became the Man who is now my Significant Other. When we met in January 1994, I was dating someone else. We were both in a play and became friends over the run. Afterwards, we went out for dinner on my birthday in February and fell in love with each other over the meal. We made love that night (the best birthday present I've ever had) -- Emotionally and physically, the best experience I'd had in quite some time. That weekend, I broke up with the other guy and began the nearly 15 year odyssey that continues to this very day! I am so with you on this. 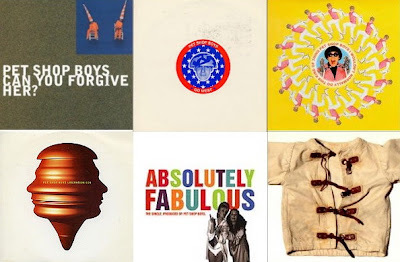 I love the PSBs and have so many memories associated with songs from Discography and Very - all the way up to Ab Fab and New York City Boy. Thanks for the Mr Vain video, I had not seen it. Very changed my life too, I was 40 and coming out as a club kid (I had come out of the closet at 18). That year was one of my most fun times! 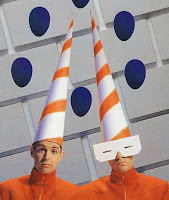 VERY is a favorite PSB album of mine, but the seminal (no gay pun intended) album for me is BEHAVIOUR. I dig it out every Fall so that when I play "My October Symphony," it's apropos. With almost no seasonal change here in Southern California, its an auditory reminder that Fall is really here. "Liberation" is dreamily gorgeous and lush; an unabashedly romantic song by self-professed pessimists, just as "I Wouldn't Normally Do This Kind Of Thing" is 'defiantly optimistic.' (I believe that's a direct Neil Tennant quote, remembered after all this time). My favorite track off VERY though has to be “A Different Point of View” which is smart and catchy and on par with anything ever written by The Beatles. In fact, Neil referenced The Beatles in an article once claiming that “ADPOV” was written as if by The Beatles with the same kind of song structure. What really galls me is when people —or radio DJs, for that matter— have an 80s retro weekend and label them "one hit wonders" because the Pet Shop Boys are soooo much more than that — to me, and a great many people around the world. More so around the world where their popularity is greater. All one has to do is look at their prolific output and the ‘one hit wonder’ theory flies out the window! They’ve had and continue to have a tremendous impact on pop music and popularizing disco and electronica in the late 80s and early 90s while the rest of the country was going grunge. They are superly crafty songwriters, easily in the same league as Martin Gore back in the day, who seemed to turn everything he touched into gold. If for no other reason to love the Boys then it has to be that they re-introduced the wah-wah guitar sound. 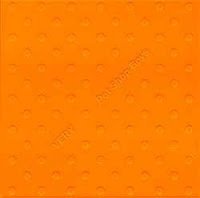 Thank you for reminding me why I love the Pet Shop Boys. I haven't whipped out Very in many years,but I will do that now. I LOVE that record and I know I forgot how much. Amazing how taste is so subjective. Young Offender is a total PSB classic, but One And One Make Five is utter album filler cack. Cack, I tell you. I'm reading your post at year 16-plus after "Very," an album I've loved ever since it came out (I had the version with "Relentless"). I appreciate this album and its themes even more today. It's kind of cool to know I wasn't the only gay 19-year-old in Pennsylvania listening to this album in another '87 Dodge Shadow! Before the Internet , in the late 80s and early 90s I always thought I was the only person in the world whose life completely depended and was formed by the music I was listening to, how an album or a song could be the most important, vital thing . I love your post because it shows that somewhere out there other people were sitting in their rooms listening to Pet Shop Boys, dreaming of a different life, knowing that it was out there because the voice and sounds booming out of the headphones said so. My fave PSB album is 'Please' because I was just finishing school, waiting for my exam results and knowing that if I had passed I would be able to leave my hometown and go somewhere exciting. 2 divided by 0, Tonight is Forever, and I want a lover were exactly describing my life , and it felt so liberating .